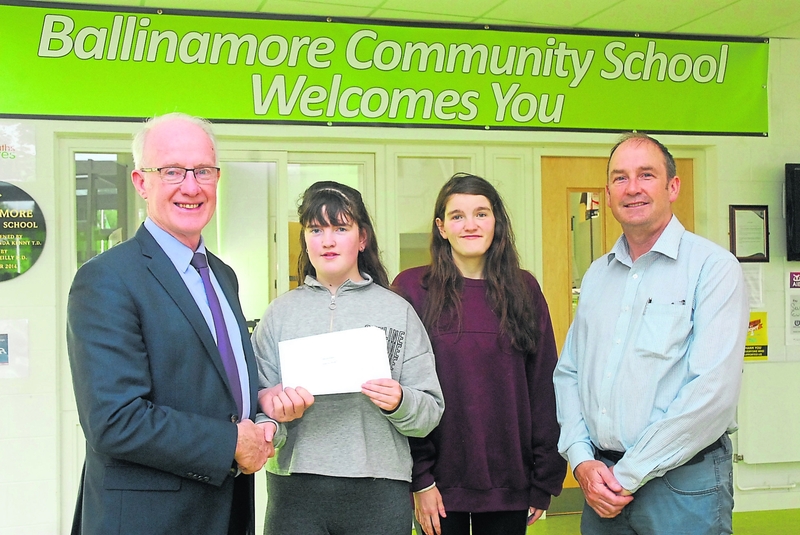 Twins Rebecca and Leah Flynn from Fenagh pictured receiving their Leaving Cert results from Ballinamore Community School Principal Padraig Leyden (left) and Deputy Principal Diarmuid McCaffrey. 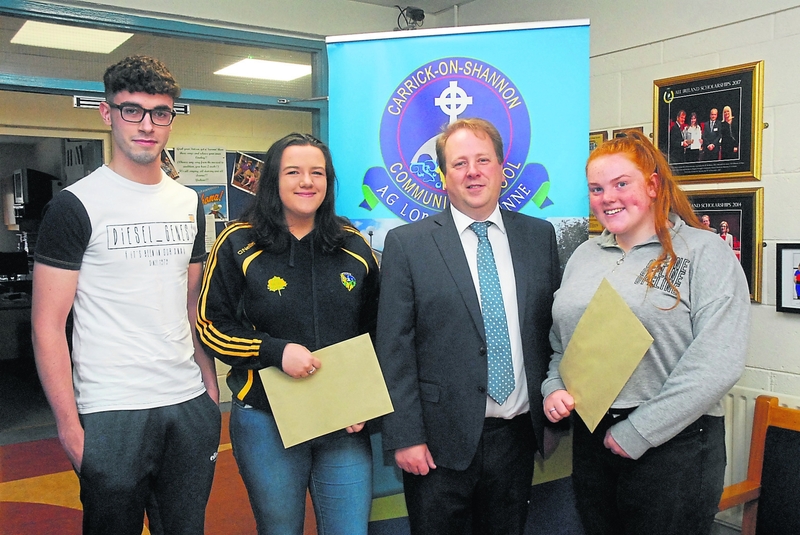 The Leaving Cert results came out this morning and here are a few photos as results were collected in Carrick-on-Shannon Community School, Mohill Community College and Ballinamore Community School. See www.leitrimobserver.ie throughout the day for photos from other schools as we get them. 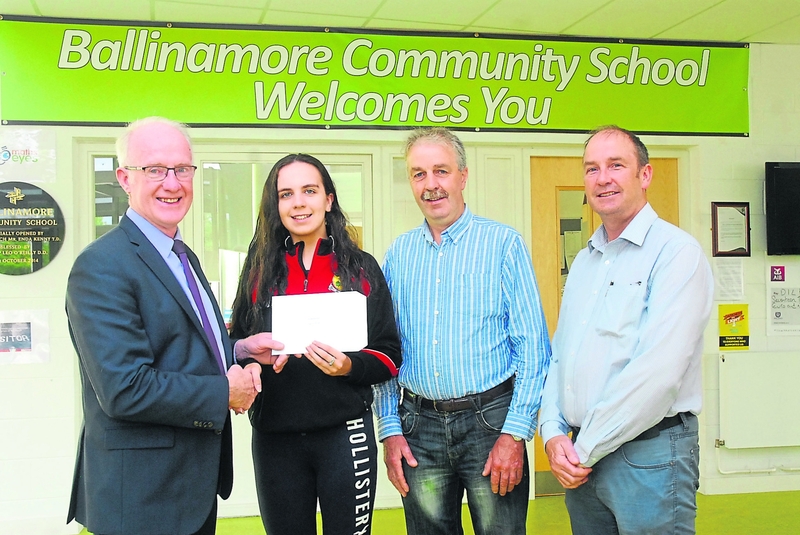 Breege McGovern from Ballinamore pictured receiving their Leaving Cert results from Ballinamore Community School Principal Padraig Leyden (left) and Deputy Principal Diarmuid McCaffrey (right). Also in photo is Breege's father Gerard McGovern. Gemma Hudson from Aughnasheelin pictured receiving their Leaving Cert results from Ballinamore Community School Principal Padraig Leyden (left) and Deputy Principal Diarmuid McCaffrey. Also in photo is Gemma's sister Tara. Carrick-on-Shannon Community School Principal, Adrian Jackson is pictured with John O'Beirne, Karen Geraghty-Prior and Ailish Mulvey collecting their Leaving Cert results this morning. 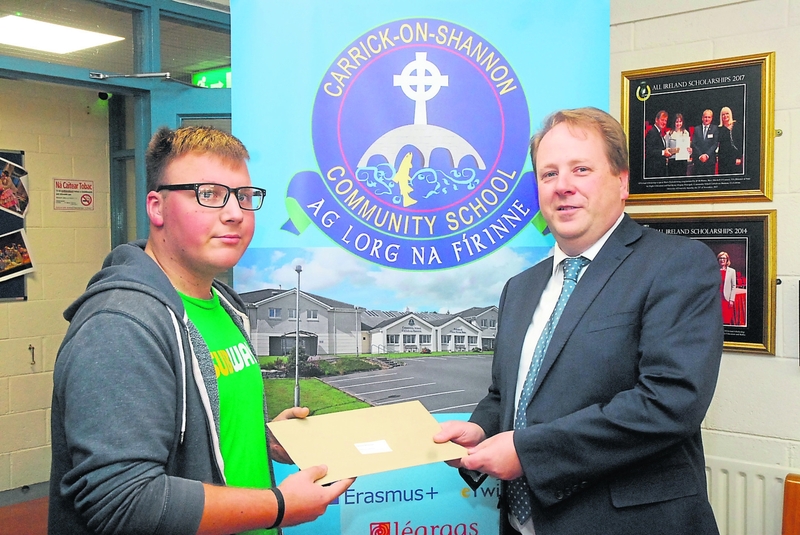 Deividas Motiejunas picking up his Leaiving Cert results from Carrick-on-Shannon Community School Principal, Adrian Jackson this morning. 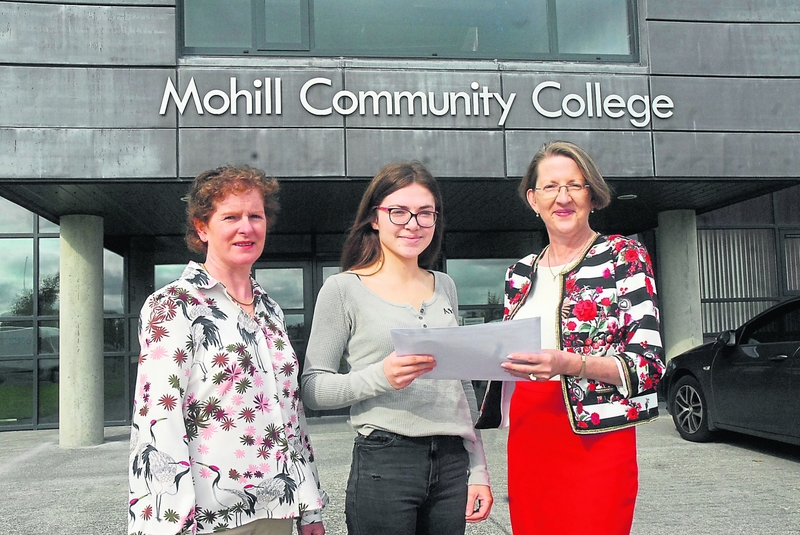 Orla Bohan from Cloone receiving her Leaving Cert results from Mohill Community College Principal Una Duffy (right) and Deputy Principal Martina Callinan. 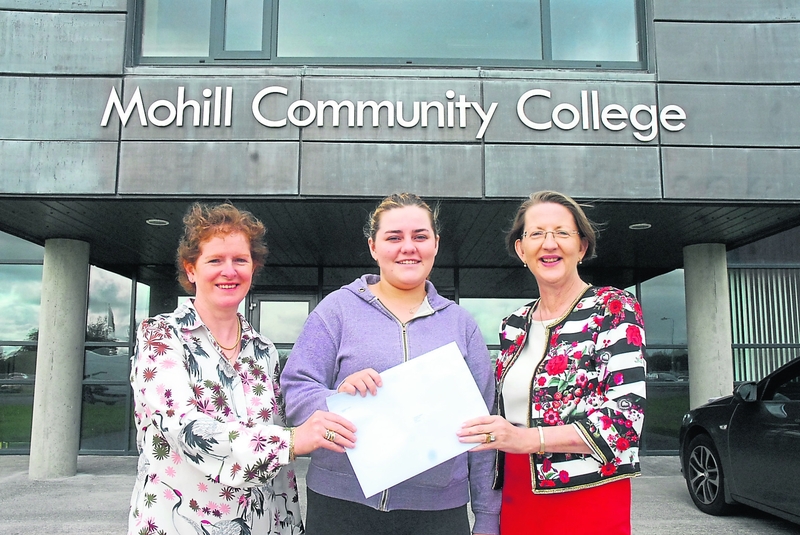 Leona McLoughlin from Annaduff receiving her Leaving Cert results from Mohill Community College Principal Una Duffy and Deputy Principal Martina Callinan. 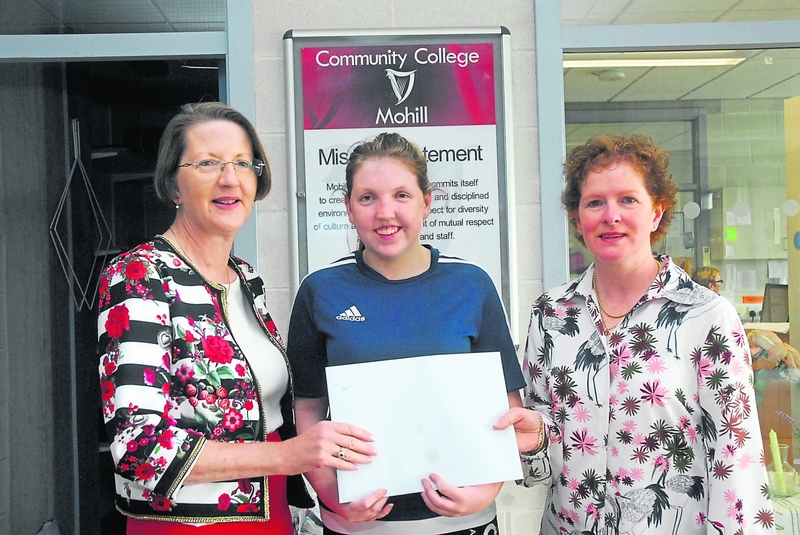 Shauna Doyle from Mohill receiving her Leaving Cert results from Mohill Community College Principal Una Duffy and Deputy Principal Martina Callinan.